Amy is missing. Nick is the main suspect. It was the morning of their fifth wedding anniversary when the seemingly perfect marriage of Nick and Amy Dunne came to an abrupt halt. Nick arrives home to find his house in disarray and his wife, Amy, nowhere to be found. Nick’s erratic and suspicious behavior, paired with the entries found in Amy’s diary causes the police to name him their main suspect. Can Nick prove his innocence before it’s too late? 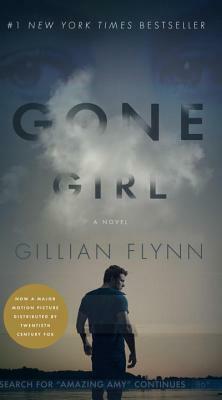 Flynn chose to write using diary entries from both Nick and Amy throughout the whole book rather than using chapters, which is one of Gone Girl’s strongest and most attractive features. It deepens the reader’s connection with the characters because you see both sides entirely. But at the same time, you are constantly surprised throughout the novel as many lies are revealed. I was left wondering until the very end. Flynn did a great job with keeping the mystery and momentum going throughout the book. There was never a part where the storyline seemed to slow down, or become boring or predictable. It always had me at the edge of my seat. Gone Girl is the perfect book for you. I read this, too. I don't entirely agree with you. I agree that almost all of GONE GIRL is a five-star book, i.e., it deserves the highest rating. Every page of the book builds more and more tension. It really is the best kind of book: unputdownable. ButI don't agree that the book doesn't slow down becauaw the last part of the book gets a little stupid, silly. And the end: other reviewers have said that it comes as a surprise. True. But I didn't like it. It is as if Flynn couldn't think of an end to the story so just stopped. Personally, I think the end should be rewritten.